The Lord of the Rings trilogy will always have a special place in my heart. The films were released just as I began to seriously begin studying the history of cinema and embracing my film fandom, and it was a genuine thrill to be guaranteed at least one amazing film at the end of each year. Now its a full ten years later (yikes!) and Peter Jackson is bringing J.R.R. 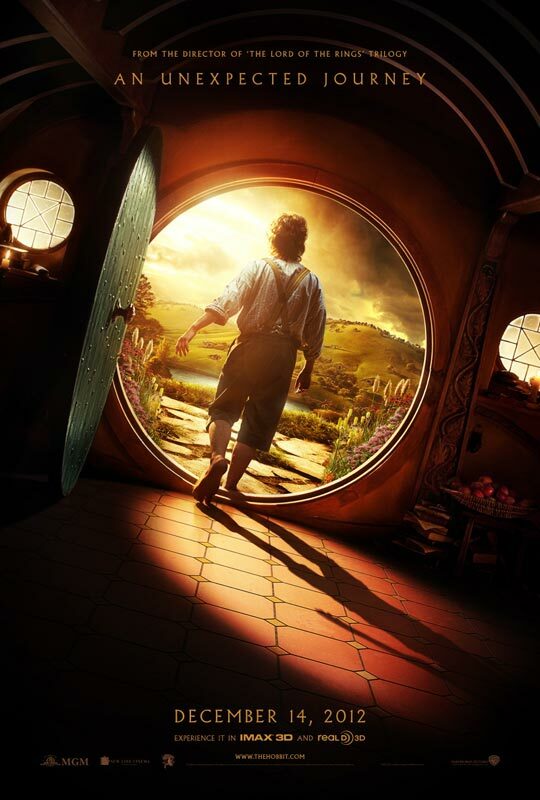 Tolkien’s The Hobbit to the big screen. For a few years I honestly didn’t think this film would actually happen. MGM was too much of a mess and the revolving door of directors did little to inspire confidence. Then there was doubt it would film in New Zealand, and then sets were burnt to the ground. But here we are, watching this trailer with our own eyes, and unless something truly horrendous happens we’ll be seeing the finished film next winter. There are currently 1 Comment on Feast Your Eyes On The “Hobbit” Trailer. Perhaps you would like to add one of your own? Darker than the Hobbit (book) but not as dark as the LoTR (films)? I suppose that sounds hopeful. My great fear was that Jackson was going to ruin it by trying too hard to make it fit with the earlier films.